Australian Agriculture rightly claims to be among the most efficient primary production countries in the world. We are proud to provide a range of products and services to the Agriculture industry. 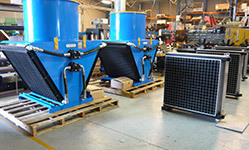 Many of our products are designed and built in Australia to suit Australian conditions. The build quality has also seen products being sold into the wider global market. OEM partners with industry leaders in the hydraulics applications market specializing in heat transfer and coupling applications. 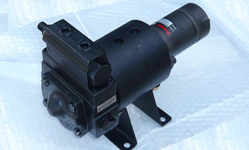 We have a broad range of products and expertise making OEM a leading supplier to the Hydraulics applications market. At OEM Dynamics we understand that the marine industry has to have critically reliable products. We also understand that these products are often needed at extremely short notice. Our investment in inventory and marine design along with more than 30 years of industry experience have helped OEM Dynamics become a reliable partner for the marine industry. OEM Dynamics is a Distributor for Twin Disc, Durst, Cotta and many other products used in a variety of mining and processing equipment including: loaders, crushers, conveying systems, underground and above ground mobile plant. 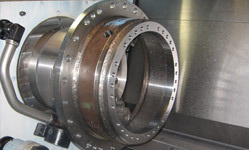 We provide an efficient service for turn around service and repairs of vital equipment. Our expertise in mechanical power transmission systems and heat transfer systems has been applied across a range of functions in electricity generation and oil & gas management. We have a wide variety of experience and applications in working with OEM’s to help them design and build low cost reliable systems, ranging from harvesters, through to drill rigs, underground mining equipment and special rail units. Many rubbish trucks, off highway and road repair equipment relies on quality componentry supplied by OEM.